Atiora is a Forex broker company specializing in providing reliable and competitive services on the Foreign Exchange Market to clients worldwide. Being a Pure ECN/STP Forex Brokerage allows ATIORA to bring the best pricing and liquidity to fx traders. As a result Atiora can be considered a discount Forex brokerage because company bringing very competitive spreads to you and lowest commissions in the industry, ensuring greater profitability of your trading. 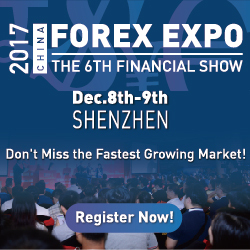 Established in 2015, Atiora brings into Forex trading, the world’s largest, the most dynamic and popular market, sound brokerage experience and cutting-edge trading technology. Customers from all over the world successfully use services of the Company. Atiora is well represented in Asia, CIS countries, in the Middle and Far East as well as on the African continent. Atiora broker have direct ECN and exchange liquidity among others. Atiora are highly rated among scalpers and traders using Expert Advisors and algorithmic trading systems. Broker Atiora call its clients only as Smart Traders. The company successfully introduces “Atiora Reward” and wide range of contests to all our customers. STP broker Atiora implement insurance programs for trader’s capital, propose the wide-range of choice of the accounts and ensure the most efficient service on trading operations. 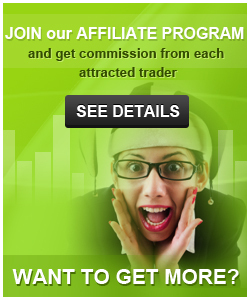 ECN Forex broker Atiora offers Bonus on each deposit of your trading account. The amount of bonus is 50% from deposit sum and can be used as margin for trading and can be withdrawn in the future. The 50% Deposit Bonus is aimed at increasing the trading volume of customers’ accounts and thus help traders realise better trading profit. To receive the 50% Deposit Bonus customers need to register a live trading account with Atiora broker and submit the “Get the 50% Deposit Bonus” button from Personal Cabinet ticket section. 2. Contact Atiora to have the funds transferred from your old account to the new one. I`m trading now with this broker. Opened 3 accounts with them - Standard, ECN pro and one more Standard. Execution is really good. I`m trading manually so I don`t know how it works with EAs and robots. But for manually trading is seems quite good and fast. They have deposit auto that is not a feature I thin but ok.
2 weeks ago I made one of my Std account as PAMM/MAM and now trading to improve results. Execution and spreads didn`t changed after I switch account to pamm like it was at some other brokers I traded. Hope I will have a good results on my account at Atiora`s PAMMs and some friends of this community can join as investor to my account.